Ultra-high performance oscilloscopes are required to meet the performance needs of engineers designing state of the art high-speed serial communication links and other ultra-high-speed electronic systems. 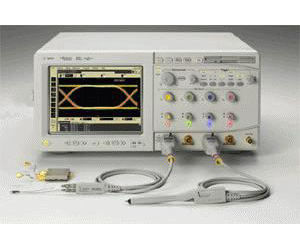 Ultra-high performance oscilloscopes are required to capture the frequency harmonics of such high-speed signals and make accurate and repeatable measurements on them. The Agilent award-winning InfiniiMax probing system sets the standard for probing systems and the rest of the oscilloscope industry is now following this trend-setting architecture.